Many generations were represented at the Grey Nun Academy Thanksgiving liturgy. The students were joined by D’Youville Manor residents and Grey Nuns of the Sacred Heart. Our thanks to Fr. Jack Nevins for suggesting we take a picture of the age-diversity in attendance! 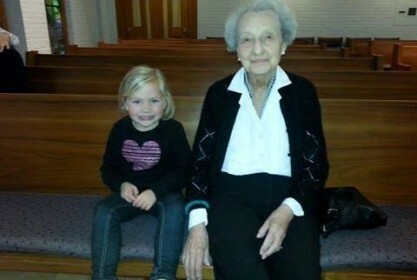 Pictured here are Brynn, age 4 and Rosalie Esposito, 107. Age is just a number!